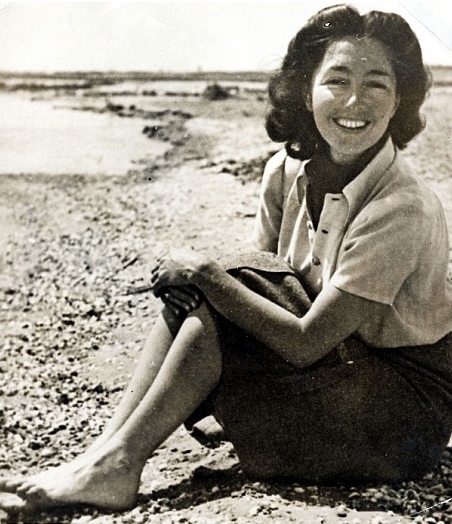 Although Skarbek escaped from the Gestapo and the likelihood of execution on several occasions during the war, she was stabbed to death in the Shelbourne Hotel, Earls Court in London in June 1952 by a club porter and former merchant marine steward Dennis Muldowney, whose advances she had previously rejected. Skarbek had become a legend in her lifetime, and after her death, she entered the realm of popular culture. 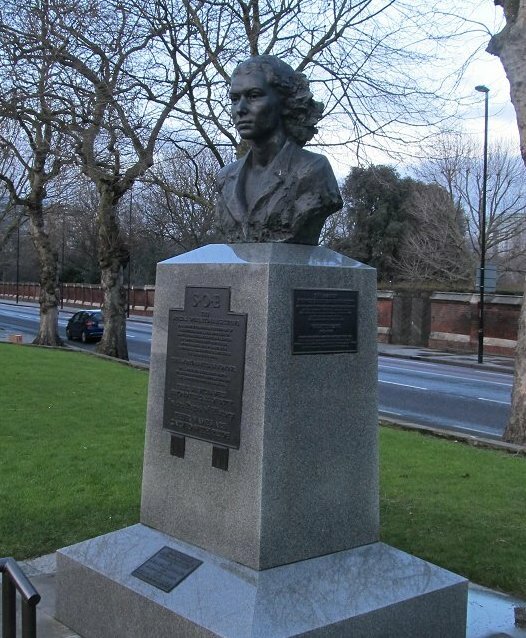 Memorial to members of the SOE on the Albert Embankment in London with a bust of Violette Szabo as the centerpiece. Illustrated articles were published about her life in Picture Post in 1952, and it is said that Ian Fleming, in his first James Bond novel, Casino Royale (1953), modelled the character Vesper Lynd on her. Three biographies have been published, the most recent by Clare Mulley, The Spy Who Loved: the Secrets and Lives of Christine Granville, Britain’s First Special Agent of World War II. Three other women agents were awarded the George Cross; Noor Inayat-Khan, Violette Szabo, and Odette Sansom, the first two posthumously. Of the 39 women agents who were sent to occupied France to work with the Resistance, at least 15 were executed, two were liberated from camps, one escaped and two died of natural causes. The rest made it back to Britain.